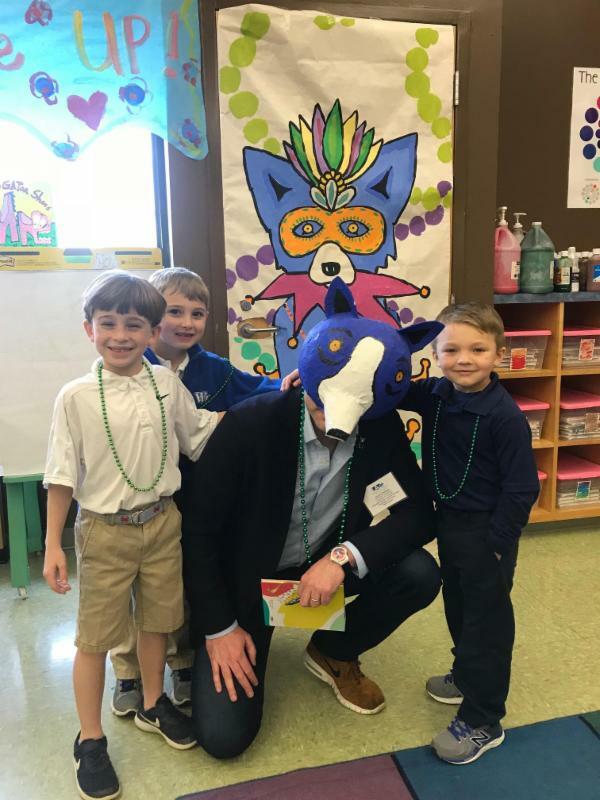 Every single day, no matter what struggles I might be facing, it's all worth it when I look into the eyes of my young students and see hope and innocence and the future of our country. 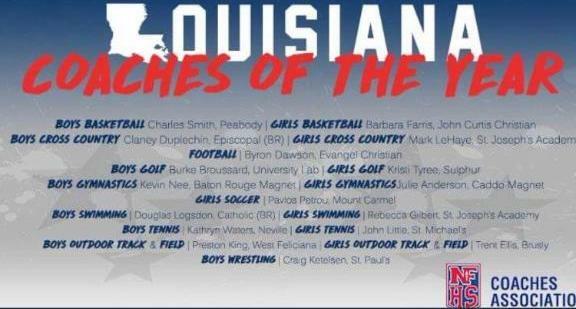 Congratulations go to Coach Preston King for being selected as the Louisiana Boys Track and Field Coach of the Year by the National Federation of High School Coaches Association! Coach King is very deserving not only for leading us to two consecutive track championships but for his constant guidance and mentoring to all of our students throughout the school system. 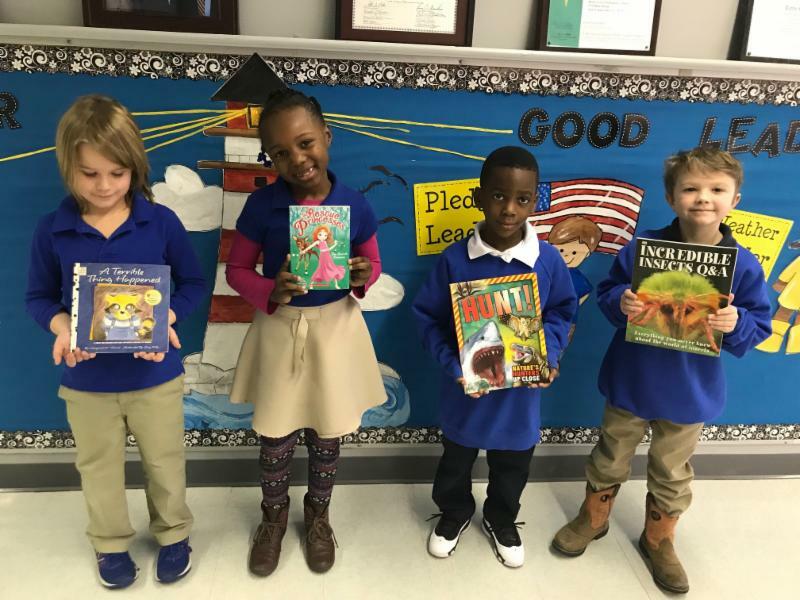 Bains Lower students Benton Tingle, Madison Collins, Caleb Sullivan, and Davis Cobb receive reading books for reaching the Accelerated Reader 60 point club! 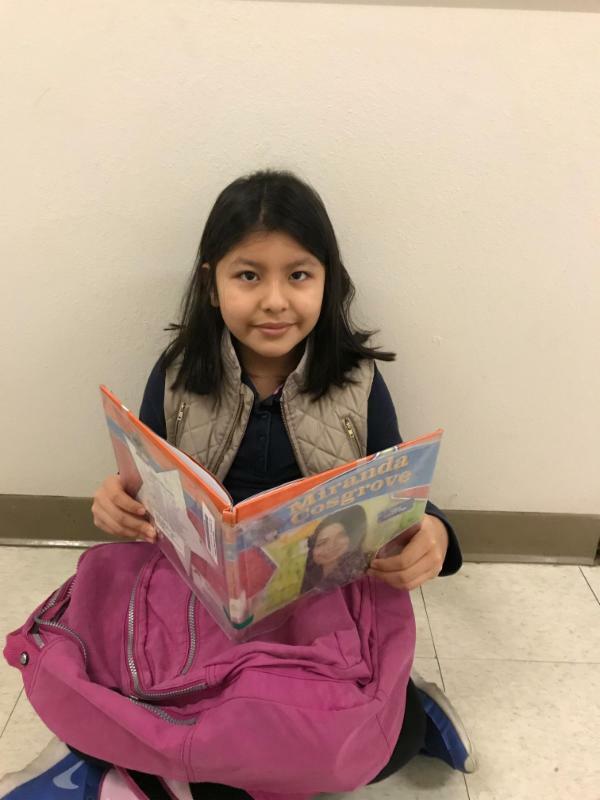 It is wonderful to see so many of our students start their Monday mornings out by reading before school. 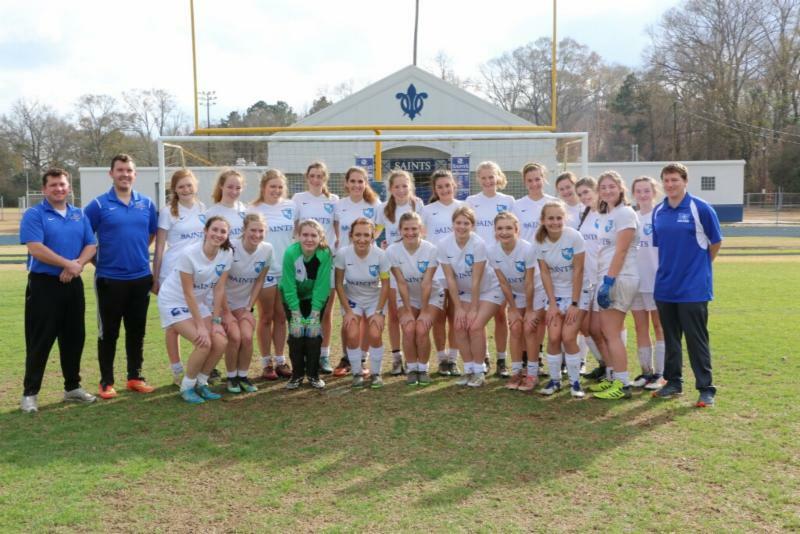 Congratulations go to the Lady Saints Soccer Team for their 3-0 Playoff victory over Holy Savior Menard! They will travel to Lake Charles to take on St. Louis in the 2nd round of the LHSAA State Playoffs. 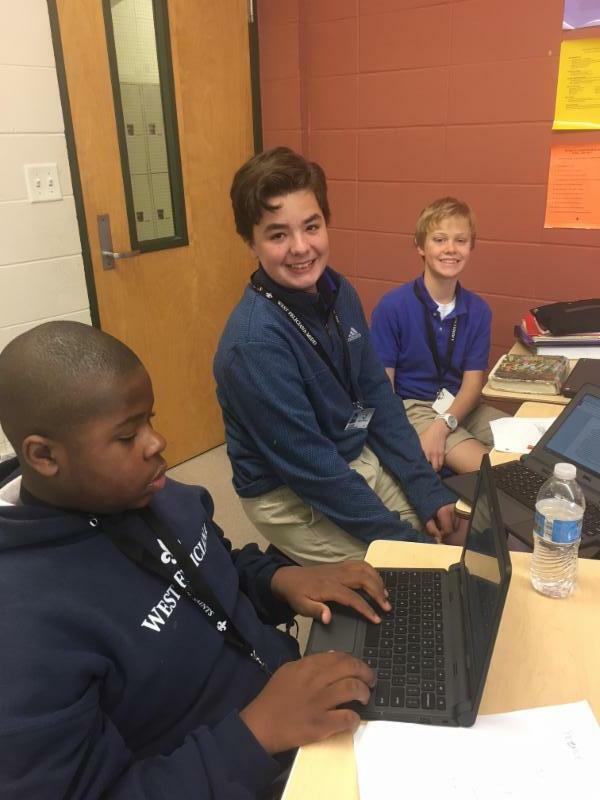 WFMS students, Devarre Dyson, Will D'Aquilla, and Charles Fox-Smith, compare fiction and non-fiction text using Google Docs. 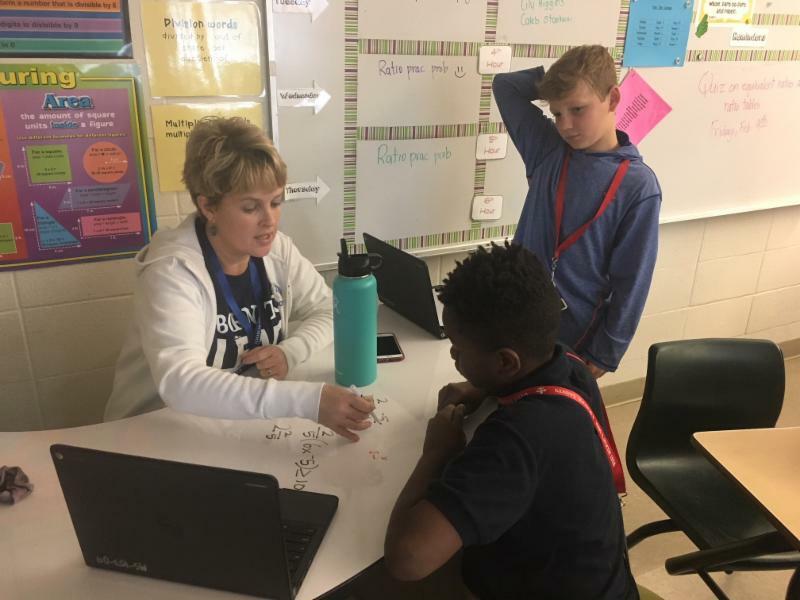 Ms. Teresa Pritchard works with JaTerrius on math enrichment. JaTerrius is working on skills that are two levels above the current grade! 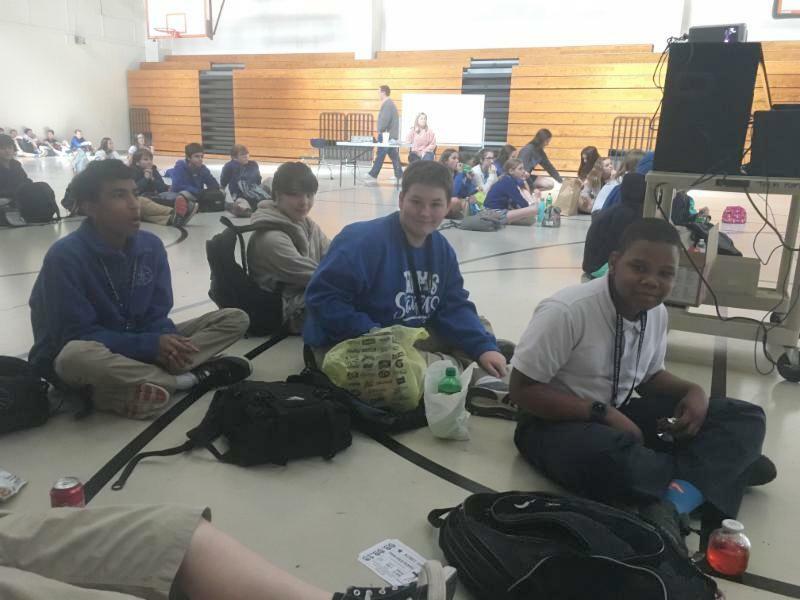 Seventh grade students at WFMS enjoy popcorn and a movie as a reward for good behavior as part of the schools PBIS plan. 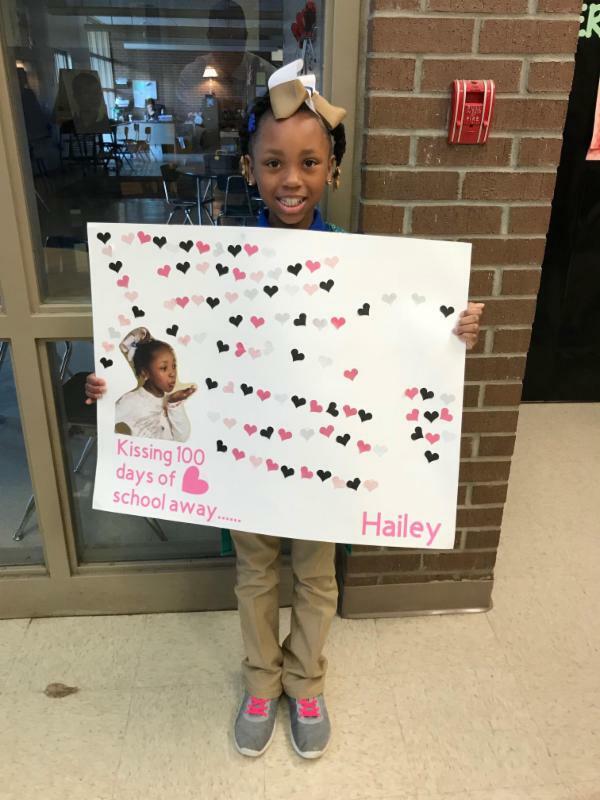 Bains Lower student, Hailey Washington, proudly displays her poster to represent 100 days of school. The LA A+ Board met at Bains Lower on Thursday to see our LA A+ School. The board members were extremely impressed with how we implement the arts into all classes, the hard work of our staff, and the high level of work of our students. 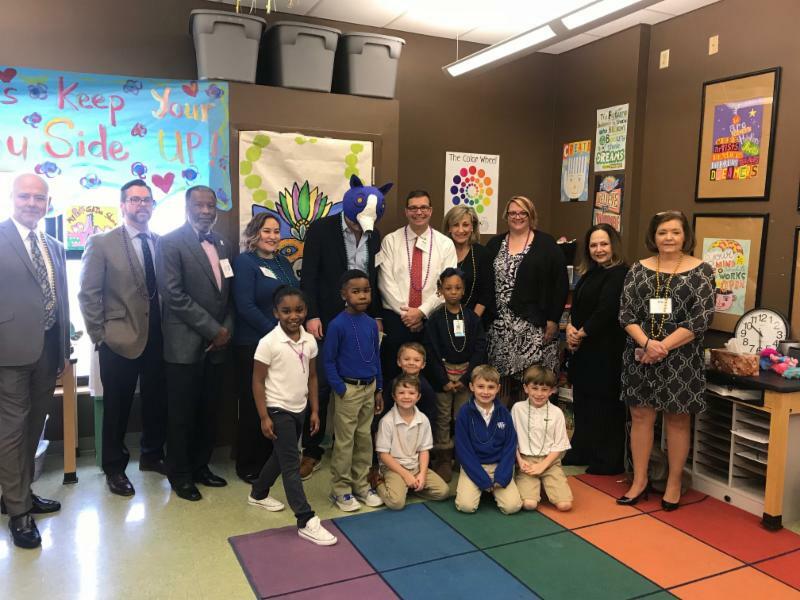 A principal from one of the highest performing schools in the state was amazed with the writing ability of our students in first grade. On March 24, we will have a parish-wide election on two ad valorem tax renewals. Both renewals provide key revenue for our school system. The renewals raise 7 million dollars in revenue, which is 25% of our annual budget. 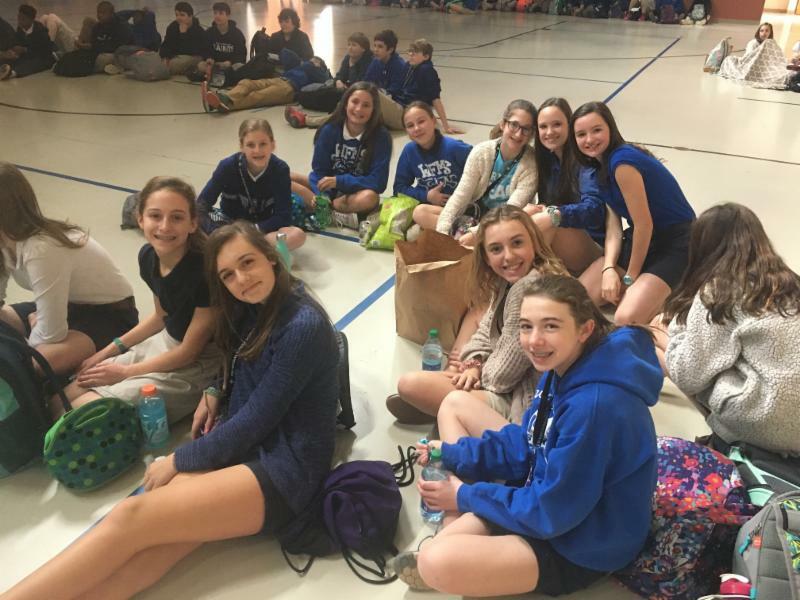 The revenue funds a significant portion of the salaries and benefits of all employees (bus drivers, cafeteria, custodians, teachers, and administrators). Both renewals also support the cost of athletics, extracurricular activities, after school tutoring, busses, technology, maintenance, security, Pre-K, Head Start, and Early Head Start, etc. Early voting begins on Saturday, March 10 and ends on Saturday, March 17. The election date is Saturday, March 24. 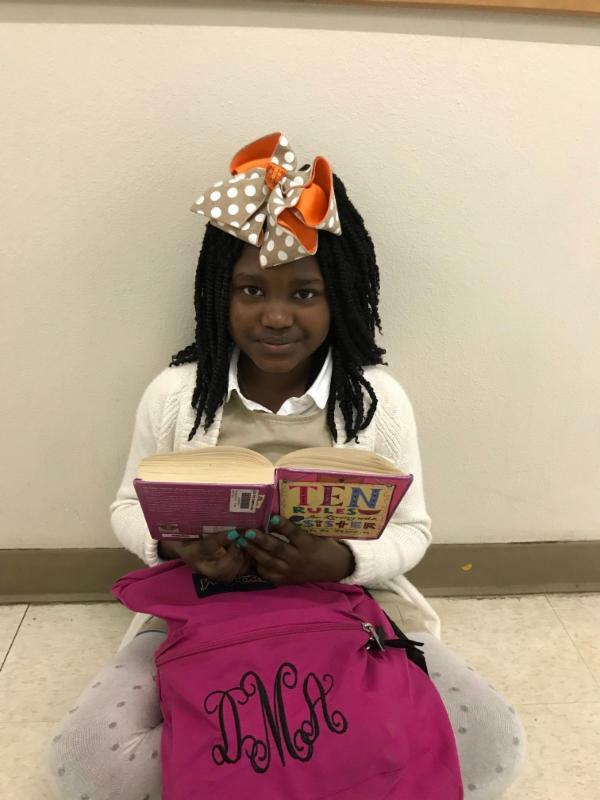 Trinity Curtis, a 3rd grade student at Bains, submitted the picture below to a national contest sponsored by the American Association of School Administrators to promote public schools. The photo received 1st prize! As a result, Trinity will receive a $1,000.00 reward. However, Trinity has decided to donate the money back to Bains so that it will benefit all students. 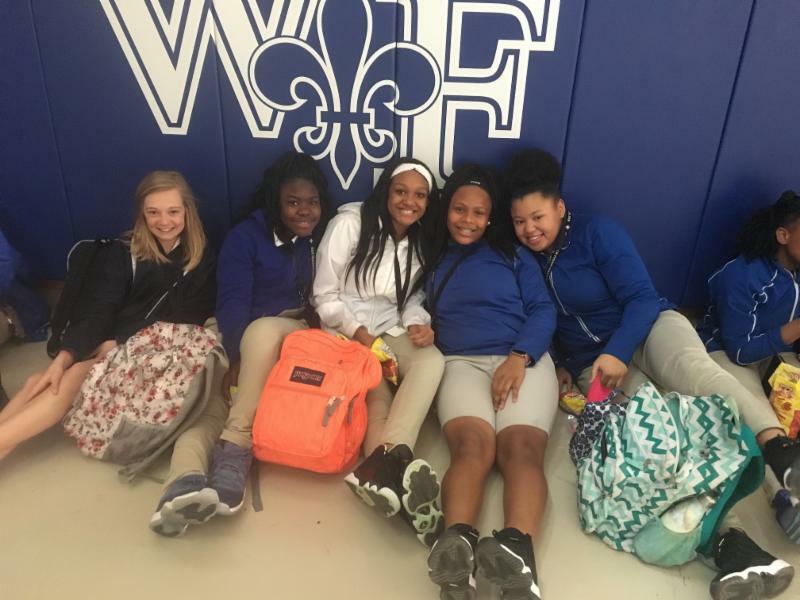 Trinity is the student to the far right in the wheelchair; however, she does not let that slow her down. 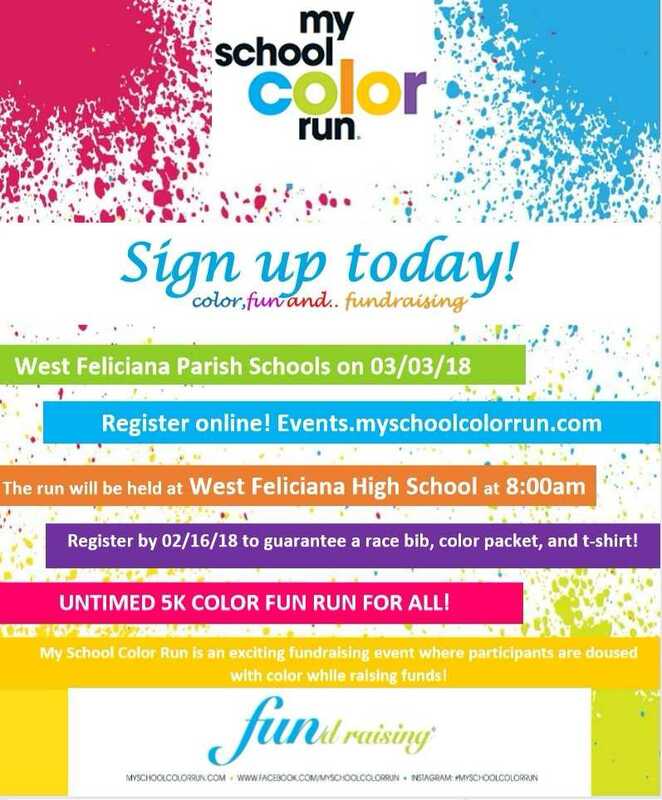 The picture represents what is best about West Feliciana Parish Schools and the power and purpose of public schools everywhere. A SHOUT OUT! 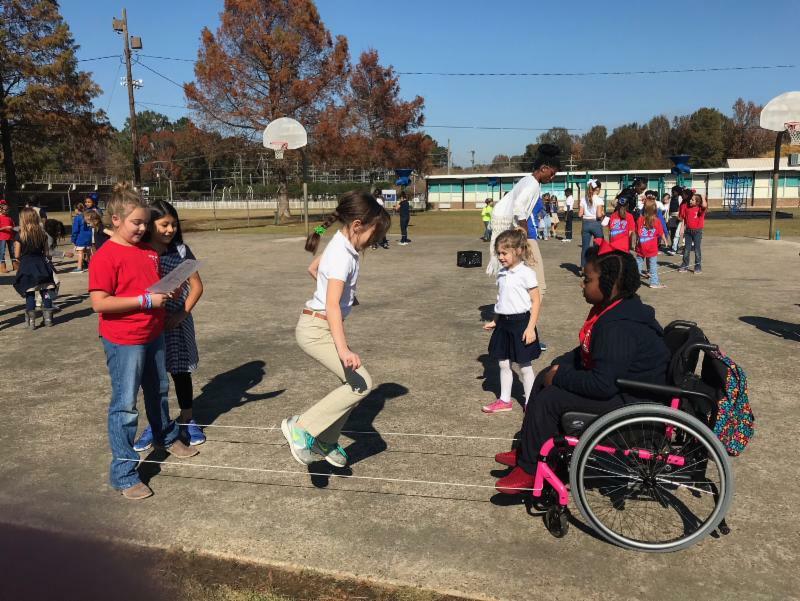 goes to Trinity and her PE teacher, Ms. Kristy Barbe, for creating conditions that allow equal access to all her students and for taking this incredible picture.